On a quest for style? You’ll reach your design destination with this colorful wall art. 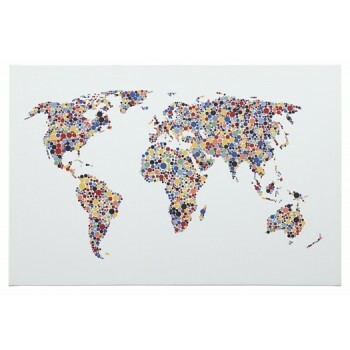 The multicolored global map has a delightfully eclectic appeal that shows off your wanderlust.